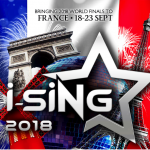 23rd June 2017, Singapore – In the past few months, marketing activities in promoting i-Sing – The Newest Global Singing Competition for Talents, have been aggressively launched by the i-Sing headquarters as well as 30+ i-Sing country partners globally. Millions of target audience has been reaching out to every week on social media platforms, radio and television broadcast, press and online media, word of mouth and other channels, drawing more than thousands of enquiries and registration for auditions up to date. 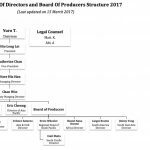 Noticeably, on March 28th, a press conference by i-Sing World Finals host – Xan Destiny Group was organized to launch this worldwide event. Headed by i-Sing Managing Director – Ms. Htwe Hla Han and i-Sing Deputy Managing Director – Mr. Chan Win, the press conference was held successfully at i-Sing World Finals’ Official Hotel – Novotel Yangon Max and invited special guests from local sponsors including Enagic, Kyi Hla Han Golf Design, Sourcecode, i-Sing partners including i-Sing Chairman – Mr. Yuro T, i-Sing President – Ms. Hio Leng Lei, i-Sing Vice President – Ms. Katherine Chan, i-Sing Greater China Directors – Mr. Thomas Ng and Mr. Rio Leng were also present at this significant event. The press conference was being reported by local media partners MRTV 4 and Myanmar Times, and Ms Htwe and Mr. Chan was being interviewed on MRTV 4’s Good Morning Show afterwards and announcing i-Sing Myanmar’s audition details and inviting locals and overseas guest to participate i-Sing Worlds Finals in September. Having more than 30 countries organizing i-Sing competition globally, we’ve gained numerous support from the local sponsors and partners. And being one of the biggest markets, Greater China’s talent pool is invincible and holding the most potential. To reach out to this unique market, China Entertainment Limited – led by i-Sing’s Directors Mr. Thomas Ng and Mr. Rio Leng as well as SimplyTech Limited led by i-Sing Vice President – Ms. Katherine Chan held a press conference on 22nd May at The Wave Hong Kong, launching i-Sing Hong Kong and i-Sing Macau’s audition and a series of i-Sing events. A panel of judges for i-Sing Hong Kong Finals was also announced at the event including famous Hong Kong Singer – Jade Kwan (关心妍), Song Writer and Musician – Chen Xiao Bao (陈小宝)，Song Composer – Zhen Guo Jiang (郑国江)，Artist Manager – Chen Shan Zhi (陈善之). The press conference has attracted several local media and press coverage from Sing Bao Daily News, Ming Bao Daily, Apple Daily, On.ccand more with the support from local partners including Somebody, StarryWorld Music Academy, A-One Media Group Co., Ltd, ICZBREAKER Talents and Marketing and Media partners: LifeTV, Bread Radio, iQIYI, 奇妙电视 and more. Apart from that, another press conference was held at Paramont Shanghai, China on 12th June, launching i-Sing China to the local market. 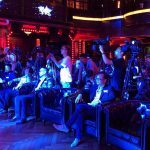 Organized by China Entertainment Limited, the press conference marked a milestone in breaking into the Chinese singing talent pool and launching an online registration platform 魔Show App where Chinese contestants register for i-Sing China audition and gain entry into the world stage in Myanmar this September. Remarkably, i-Sing China Finals will be judged by the famous artist and song composer James Li (李泉) who was also present at the press conference and giving his own experience in singing competition. With the media support from iQIYI, Radio FM 101.7, Radio 103.7FM and more, the press conference was being reported by several media and press conference: Sina News, YouKu, tudou, Paramont Official Page, 魔Show App Official Page and more. Nevertheless, our 30+ i-Sing country partners including Spain, Malaysia, Japan, Singapore, Indonesia, Philippines, Italy, Ukraine and more across the world have been launching a series of marketing activities and press conferences over the past few months to strengthen the brand value and with the goal of recognizing all talented singers globally. The positive result and feedback from the market is better than what the headquarters has expected and we are attracting more partners and sponsors along the way! With that, we would like to thank our country partners for all the support as well as our sponsors and supporting partners’ effort and trust in i-Sing! We look forward to seeing you all in i-Sing World Finals in Yangon, Myanmar from 28th Sept to 1st Oct 2017! You may visit our official website http://i-singworld.com/world-finals-yangon-myanmar/ and social media now for a preview of the beauty of Yangon and exciting program layout! 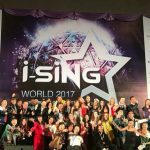 Organised by APIC Singapore, i-Sing is a worldwide competition which aims to promote singing talent in individuals who aspire to shine and showcase themselves in the world stage. 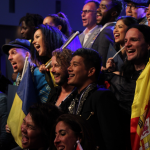 i-Sing holds the value in creating an international stage for participants and to be proud of who they are and the talent they own. 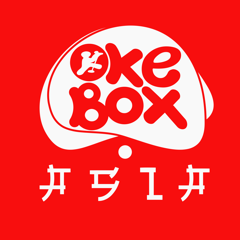 The competition includes professional and amateur singers ages 16 years old and above. The 30+ participating countries will be organising their country trials individually and the country winners will be sent to the i-Sing World Finals in Yangon, Myanmar from 28th September – 1st October 2017.